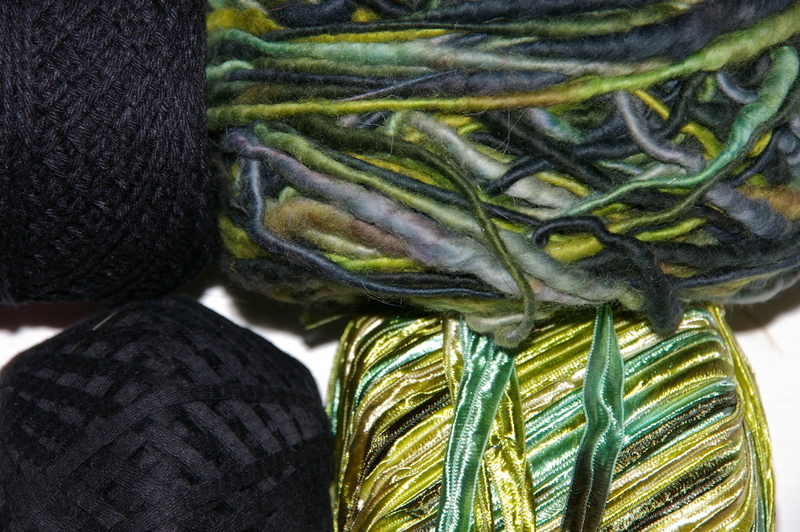 Use a smooth black yarn for the warp and a ribbon and slub yarn for the weft. A 7.5 reed will work well with these yarns and allow the weft to really show and make a soft fabric which will be good to wear. 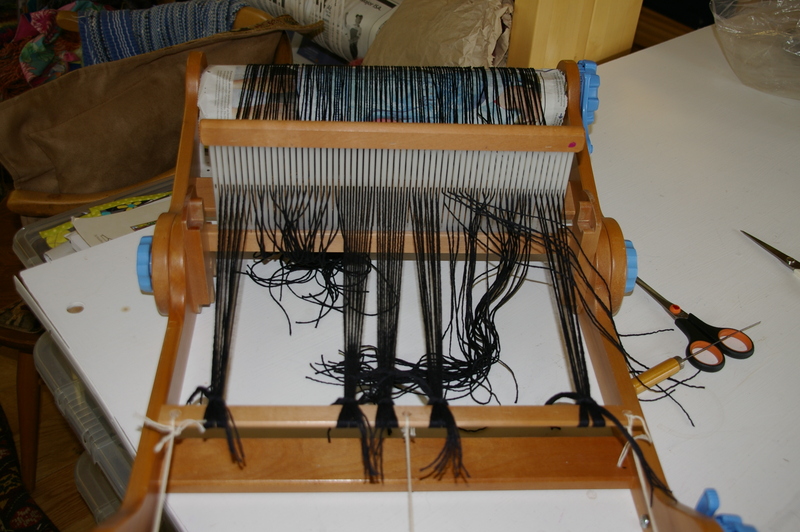 When you have woven your length of cloth cut it off the loom, secure the raw edges and give it a good wash and line dry. 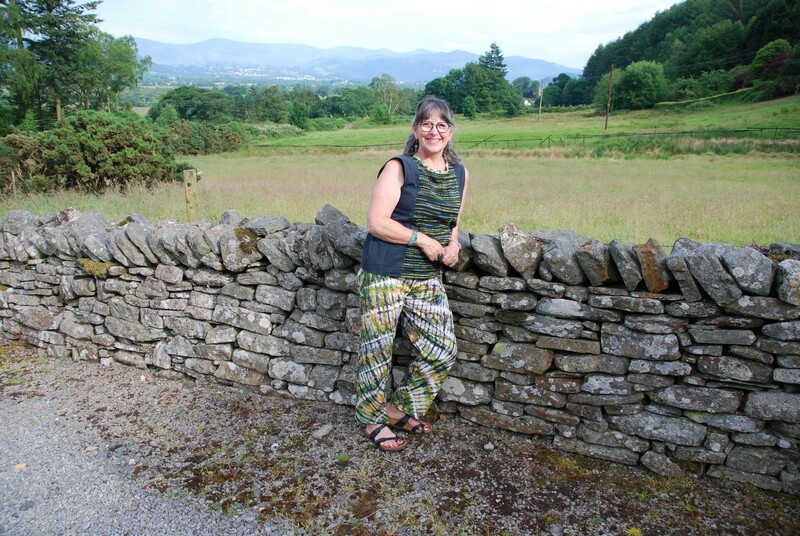 You will need to make your handwoven fabric wide enough to fit your paper pattern so sew a strip of toning cotton fabric to either side of your length before pinning on your paper pattern and cutting out the back and the front. Make up your top following the instructions in your sewing pattern. To finish off the neck edge I used a bias strip of fabric left over from some trousers I had previously made. Really good to wear on sunny, summer days. Neck edge finished with a bias strip. Armhole edge turned under. 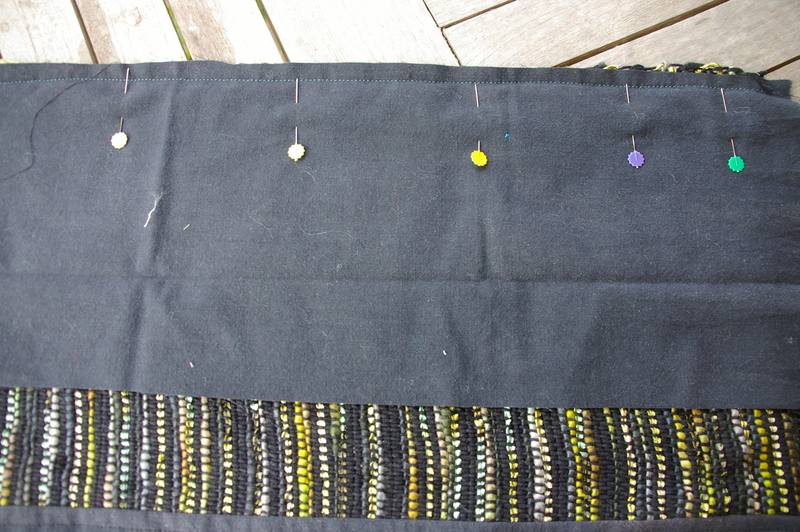 Pin and stitch fabric strips to either side of the woven strip to make it wide enough to fit your pattern. 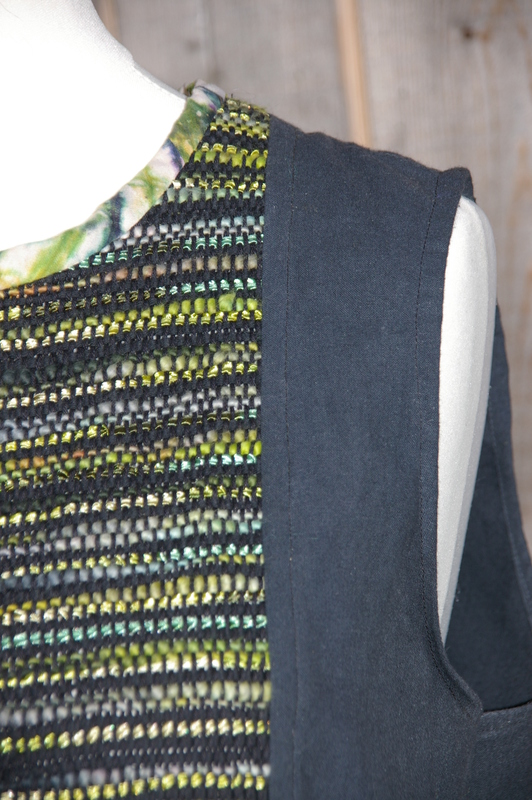 Use a narrow rigid heddle loom to weave this short length.